Android Instant Apps offer an innovative solution with swift and powerful user experience along with easy accessibility. Large apps are not easy to download due to heavy space requirements and slow mobile data connection. Instant apps obviate the need for a full app when you can avail specific features of an app on demand. 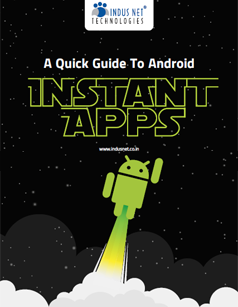 In this article, we cover up different angles of Android Instant App beneficial for the businesses and the people as a whole.